The Finding a Solicitor directory on www.lawsoc-ni.org is owned and maintained by The Law Society of Northern Ireland. 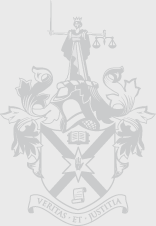 Whilst the Law Society of Northern Ireland seeks at all times to ensure the accuracy of the information contained in The Finding a Solicitor directory, the Law Society cannot accept any liability arising from your reliance upon it, or from the inclusion in it or omission from it of any data whatsoever. By making The Finding a Solicitor directory to the public, the Law Society gives no representation or advice and makes no warranty whatsoever as to the accuracy of the information provided or in relation to any other matter. 1. Take appropriate steps to verify independently the accuracy of any information contained in The Finding a Solicitor directory. 2. You should not act or omit to act on the basis of information contained in The Finding a Solicitor directory without confirming for yourself that an organisation or individual is regulated by the Law Society of Northern Ireland and that they are who they say they are. 3. You should take such legal and/or professional advice as you consider necessary. The Finding a Solicitor directory is not intended to be the way in which the Law Society fulfils its statutory duties under the Solicitors (Northern Ireland) Order 1976 to keep an official register of all solicitors available for inspection by the public. The Finding a Solicitor directory does not contain details of all solicitors in Northern Ireland. In particular, it does not contain details of solicitors who work in-house, for Government or choose not to be listed, and some solicitors without practising certificates.